The GRI Club Infra Colombia is part of the GRI Club Infra, a global club of leaders in the Infrastructure sector. GRI Club brings together investors, developers, operators, lenders, government officials and other industry specialists. GRI Club Infra Colombia hosts various activities among those behind closed doors club meetings throughout the year and the topics covered are requested by the membership. The annual conference is open to non-members, as the club meetings are reserved exclusively for the GRI membership. Global concession player supports its clients in design, financing, project management, operation and maintenance of major public infrastructure projects in the areas of transportation. Subsidiary of Grupo Bancolombia, Colombia's largest bank, specializing in structured finance, mergers and acquisitions, capital investments and capital markets. 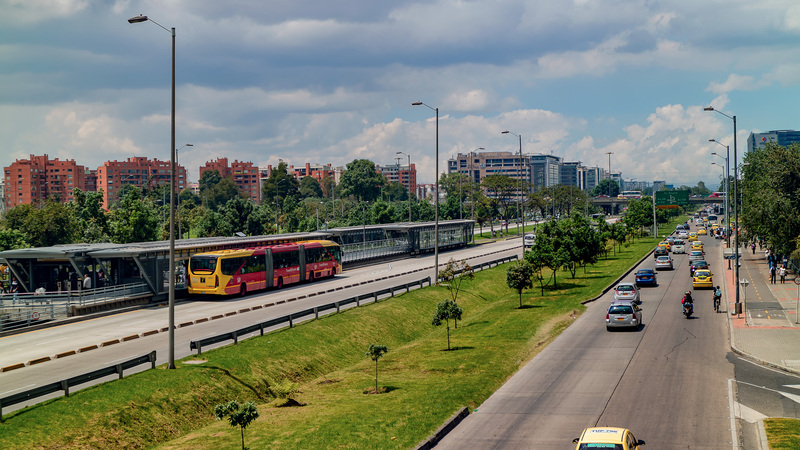 Odinsa, a Colombian company, a subsidiary of Grupo Argos, is an organization dedicated to the structuring, management and development of infrastructure projects for highway and airport concessions. Multilateral global development institution focused exclusively on supporting private sector development in developing markets. Bernardo Serafim is Development Director of VINCI Concessions for Latin America and Executive Director of Vinci Highways. Holds a Civil Engineer degree from the Technical Superior Institute, a Master's Degree in Business Administration by Indeg-ISCTE Business School from Lisbon, an MBA degree from Catholic University & Nova University (Lisbon MBA) and a Diploma in Leadership Development Program from IBMEC. Before joining VINCI Concessions, he worked in several geographies and positions: Project manager in several infrastructure projects, Country Manager for Spain, Business Development Director for Mozambique, South Africa ,Tanzania and later for Europe and Euroasia. Finally served as General Manager for Colombia, Peru and Ecuador. Since May 2016, Jean Pierre Serani is the Head of the Investment Banking division of Bancolombia, where he is in charge of the M&A, DCM/ECM, Project, Corporate and Acquisition Finance, Merchant Banking and Special Situations teams. Previously, for three years he was the CEO of Valores Bancolombia, the bank´s brokerage unit and the Head of the Sales & Trading division. Before 2013, he held several positions on the Investment Banking division for more than eight years. Mr. Serani received his undergraduate degree in Business from Universidad EAFIT and his MBA degree from Georgia Institute of Technology as a Fulbright Scholar. Lina Madrid is a Engineer, holds a MBA from the Technological Institute and Higher Education of Monterrey Mexico and Master in Finance from the School of Senior Management and Administration of Barcelona, ​​Spain. Has more than 10 years of experience in the financial sector and infrastructure. Former Director of Investments and Investor Services for Construcciones El Cóndor S.A. Ex-Manager of Segment Construction and Transportation in the Bancolombia Group. Currently works as Director of Infrastructure at AM SURA. Mauricio Ossa Echeverri is president of the Odinsa Group. Previously, he worked as vice president for the Caribbean region and legal representative of Cementos Argos and as manager of Industrial Business and national manager of Marketing. He studied Business Administration and specialization in International Marketing at EAFIT University (Medellin). He also did the Advanced Management Program of the University of La Sabana (Bogotá) and the CEO's Management Program of the Kellogg School of Management (Illinois). Mr Toledo has more than 15 years of experience structuring financing for power, gas, transport, and water projects in Latin America and the Caribbean. He is currently a Chief Investment Officer within IFC's Latin America Infrastructure and Natural Resources group, leading IFC's efforts in Central America, the Caribbean and the Andean regions. Prior to joining IFC in 2005, Mr. Toledo worked at CAF and Citigroup. Mr. Toledo holds a bachelor degree in civil engineering from Universidad de los Andes in Colombia and a Masters in Business Administration from McGill University in Montreal.